On July 23, 2015, WNBA League owners unanimously approved the Tulsa Shock’s relocation to the Dallas-Fort Worth Metroplex to play out of the College Park Center at the University of Texas at Arlington. College Park Center is also home to the UT Arlington Mavericks basketball and volleyball teams. 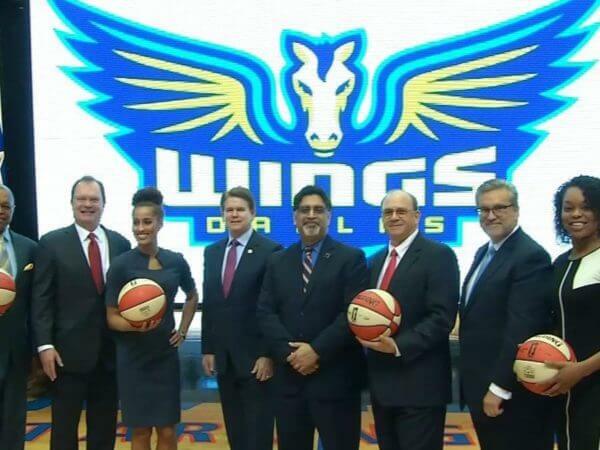 At a press conference at College Park Center on November 2, 2015, it was announced that the team was renamed the Dallas Wings. The Dallas Wings are a professional basketball team based in Arlington, Texas. The Wings play in the Western Conference in the Women’s National Basketball Association (WNBA). The team is owned by a group which is led by Chairman Bill Cameron; Chris Christian is vice chairman and managing partner and Greg Bibb is COO of basketball operations. The team was founded in Detroit, Michigan, before the 1998 WNBA season began and moved to Tulsa, Oklahoma, before the 2010 season; on July 20, 2015, Cameron announced that the franchise would move to Arlington for the 2016 WNBA season. Wings – A horse with wings is referred to as Pegasus, from the name of the winged horse of Greek mythology. Who is the greatest Dallas Wings? The Dallas Wings are a professional basketball team based in Arlington, Texas. The Wings play in the Western Conference in the Women's National Basketball Association (WNBA).